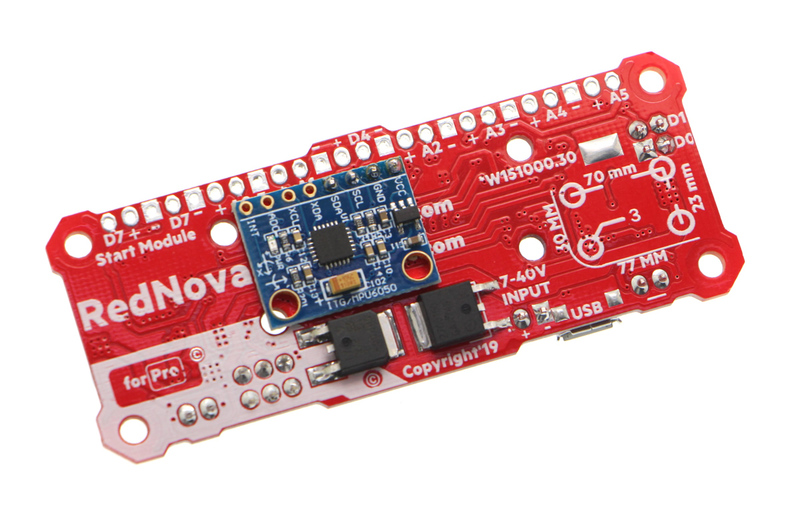 ​Meet our Advanced Robot Control Board RedNova! RedNova is an advanced robot card based on arduino, the card is designed by Sumozade team to control your robot in a professional way. Red Nova gets its processing power from RZ-Core Mcu Card . 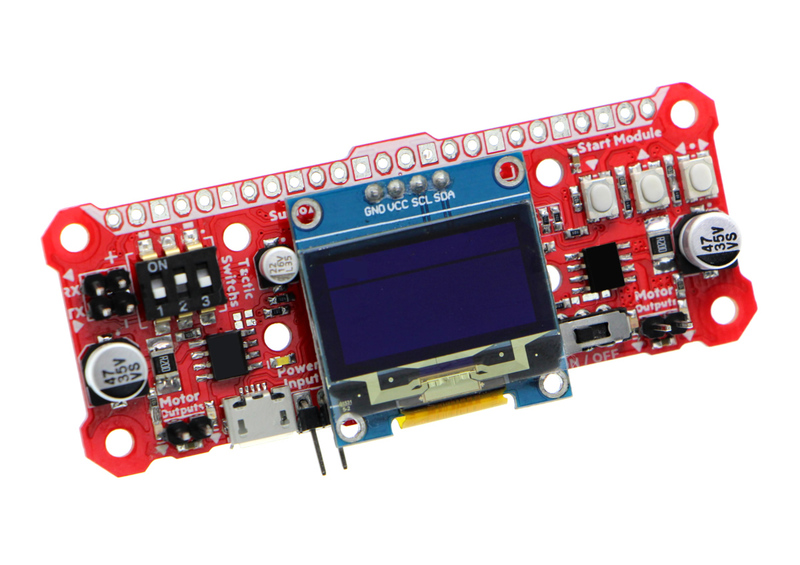 This card uses the Atmega32U4 Microcontroller and is supplied with the Arduino compatible Leonardo Bootloader. With its own library, you can use all the features of the card more easily and effectively. Advanced custom software will be shared with those who purchased the card . Free Software and Free After Sale Support. You can achieve success by using our RedNova Robot Control Board. You can add a high level of quality to your projects using this highly advanced card for robot competitions, robot projects and robotics training. Those who buy the Robot Card will be given a mini sumo robot program with 6 different tactical combinations for competitions free of charge. Our robot card is manufactured in accordance with all robot competitions, you can install on the start module with the remote stop and start can do easily. Click to view the startup module. Compatible with All Japan tournament Robot Competition and All Robot Competitions. With the selection pins on the card, you can use all 5 volts and 12 volts sensors with this card. 7 - 40V voltage input can be made. Reverse voltage, usb and short circuit protections are available. There are 2 motor drive controls. Each of the motor drives outputs 6 Amps. A total of 12 Amps is provided to you. There are 3 user buttons, one of which is common to the start pins. There are 2 user leds. I2C and Serial port pins are available. There are 12 Empty pins. Size: 77 x 30 x 9 mm. What You Can Do with RedNova Some of the Robot Projects are Below. and many more you can do your project. The Atmega32u4 microcontroller has 32 KB flash memory (up to 4 KB used by the bootloader). It has 2.5 KB SRAM and 1 KB EEPROM. 12 Empty pins can be used as input or output on the user card. Motor Drive: There are 2 6A motor drives. Motor outputs have short circuit protection. Motor1-> D10 - D9 is connected to motor2-> D6 - D5 pins. Regulator: There is a regulator circuit capable of delivering 1 Amp output in 7-40V range. The card will protect itself when you plug in the external power supply. In addition, the card will protect itself from short circuit in the 5V line. Button: There are 3 buttons. The buttons are connected to pins D7, D8, D11. Led: There are 2 user leds. LEDs are connected to pins D12 and D13. The D12 LED works in bidirectional mode. You can also use RX, TX LEDs externally. For this you need to add a small code (RX Led = D17, TX Led = D30). Dipswitch: 1 pcs 3 position dipswitch. (DipSwitch1) Connects to DS1-D16, DS2-D15, DS3-D14 pins.